Send your clients high quality professional looking invoices. 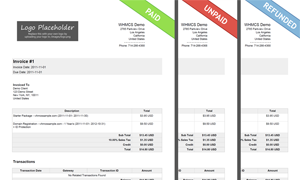 PDF versions are attached to every invoice related email WHMCS sends, including new invoice notifications, and payment reminder notices, so your clients don’t even need to visit your site to view their bills. Plus invoices are fully customizable via templates. 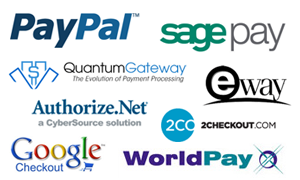 Integrated with over 75 different payment gateways as standard, with WHMCS you can pick the gateway(s) that work best for you. Supporting multiple gateways used concurrently, and integrated for fully automated payment processing, payment confirmations & refunds, taking payments is now easier than ever.